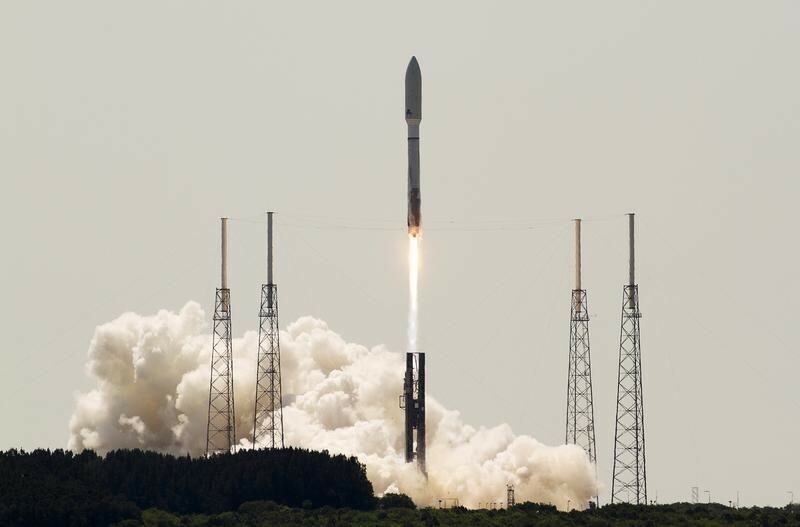 May 2, 2016 – United Launch Alliance’s workhorse Atlas 5 rocket will remain grounded until this summer while engineers fix a problem that triggered an early engine shutdown during its last flight, the space venture said on Friday. The Atlas 5 rocket that blasted off from Florida’s Cape Canaveral Air Force Station on March 22 successfully delivered an Orbital ATK cargo ship to the International Space Station for NASA, but its Russian-made RD-180 engine shut down 5.5 seconds early. The rocket’s second-stage engine compensated for the shortfall, saving the mission. Engineers have traced the problem to a fuel control valve in the RD-180 engine that reduced the amount of kerosene delivered during the boost phase of the flight, ULA said in a statement. “The ULA engineering team has reviewed the data and has determined an anomaly with the RD-180 Mixture Ratio Control Valve (MRCV) assembly … In addition to analysis and testing, all RD-180 engines are being inspected,” the company said. The work will keep the company’s next launch of a military communications satellite, MUOS-5, which had been slated for May 5, grounded until early summer, ULA said. A new launch date was still pending, it added. ULA said new launch dates for the rest of its scheduled Atlas 5 missions this year are being coordinated with their customers. “All missions manifested for 2016 are expected to be successfully executed by the end of the year,” ULA said.